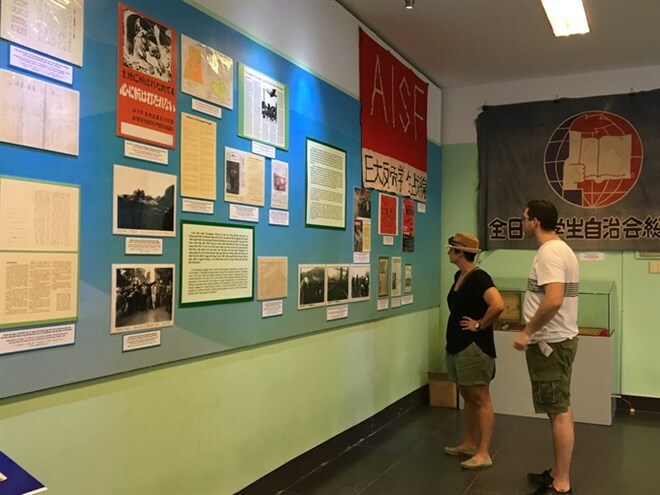 HCM City (VNA) – An exhibition titled “The Peace Movement in Japan Supporting Vietnam during Wartime (1954 – 1975) and the Vietnam-Japan Friendship” opened at the HCM City War Remnants Museum on August 20. The two-month event is organised by the museum and Yamazaki Hiroaki 8-10 Project of Japan to celebrate Vietnam’s 72nd National Day and 25th anniversary of the establishment of the Vietnam – Japan Friendship Association. More than 200 photos and objects featuring Beheiren – The Peace Commission for Vietnam, an anti-war movement established in Japan to demand an end to the American War in Vietnam, are on display. They highlight the commission’s monthly anti-war rallies from 1965 to 1974 that saw thousands of people participate in cities like Tokyo and Oizumi. Books, posters, propaganda paintings and newspaper stories supporting Vietnam created by Beheiren members are showcased. There are also photos featured the diplomatic relationship between Vietnam and Japan.